WHERE IS THE THEATRE LOCATED AND IS THERE PARKING? The Rhythm Dance Year-End Recitals will take place at the Isabel Bader Theatre in Toronto which is located at 93 Charles St. West, at University Ave, This is a 30 second walk East of Museum Subway station There is ample parking around the theatre including various Green P parking lots which would be advisable to use as there is a lot of construction downtown. SHOULD MY CHILD BE DRESSED AND READY WHEN THEY ARRIVE AT THE THEATRE? YES!! All dancers must arrive dressed in their costume ready to perform. Hair must be securely tied back and off the face with the assigned hair accessory already in place. Please make sure to gel their hair off their face. Make -up: The stage lighting makes the dancers look pale and washed out. A little blush and lipstick will help to brighten their smiles and faces. Please make sure for safety reasons that the children are wearing running shoes. DO NOT wear flip flops or jewellery. TAP CLASSES: All students whose tap shoes have laces, please make sure they are securely tied and knotted. WHEN SHOULD MY CHILD ARRIVE? We ask that all dancers arrive 45 minutes prior to their recital and be ready to perform. All dancers should wear running shoes and bring all other LABELED dance shoes in a LABELED bag. WHERE DO I DROP OFF MY CHILD TO ENTER AS A PERFORMER FOR THE SHOW? All dancers must enter through the SIGN-IN DOOR located at the stage-door at the side of the building. Look out for Rhythm signs to help direct you to this area. WHAT HAPPENS TO MY CHILD AFTER THEY SIGN -IN AT THE RECITAL? Once dancers sign in, they will be escorted to the supervised area to meet their Dance Teachers, Assistants and fellow dancers who will stay with them for the entire duration of the show. We assure you that dancers will be well supervised and having fun backstage while the show unfolds on stage. HOW LONG IS THE YEAR END RECITAL? WHAT HAPPENS TO ME ONCE I SIGN MY CHILD IN? After signing-in your child, parents will need to walk to the front of the theatre and present their ticket to gain entry into the building. The Isabel Bader Theatre will be open for audience members 30 minutes before the show. DO I NEED TO SEND MY CHILD WITH SNACKS? Please feel free to send your child with a bottle of water and if you want to send snacks, we ask that you send ONLYFRUITor VEGETABLES to ensure that we are as ALLERGY sensitive as possible. No food with colour that can ruin their costume, ie. Strawberries, blueberries etc. PLEASE NOTE THIS POLICYIS TO ENSURE THAT THE CHILDREN WHO HAVE ALLERGIES ARE SAFE. ANY OTHER SNACK WILL BE CONFISCATED!!!! SHOULD I SEND MY CHILD WITH A TOY OR GAME FOR THE BACKSTAGE AREA? Please ensure that your child goes to the washroom before leaving your house for the theatre. There are several bathrooms backstage and the teachers and assistants will be happy to take any child that needs to go. ARE PARENTS ALLOWED BACK STAGE? Parents are not allowed backstage. When arriving at the SIGN-IN DOOR, parents will sign their child in by name and class and then their child will enter the back stage area for the show. Dancers will be backstage the entire time and will be reunited with their parents at the end of the recital. HOW DO I PICK UP MY CHILD AT THE END OF THE SHOW? After the show all dancers will be brought back onto the stage for a farewell goodbye. The students will be arranged in their classes with the staff on stage. Once the show is over please stay in the auditorium and your child’s name/class will be called out. If we could have one parent come up to the stage area to meet their child and take them out through the theatre door as we will be signing in the next show at the side door. HOW DO I PURCHASE A RECITAL DVD? CAN WE BUY FLOWERS AT THE RECITAL FOR OUR CHILDREN? Yes we will have Floral Diva’s Flower Company in the lobby before and after each show selling flowers for the dancers. Prices range form $10-$30 and proceeds from sales will go to Sick Kids, Kids 4 Cancer Foundation. CAN WE FILM AND TAKE PICTURES DURING THE SHOW? There is absolutely NO filming or picture taking during the recital. This is a strict theatre rule and all cameras/video recorders will be confiscated. Parents are welcome to take pictures when all the students are saying goodbye at the end of the show. WHEN IS THE STUDIO OPEN DURING JUNE FOR REGISTRATION? After this date registration will be ongoing by phone and or on line. HOW CAN I REGISTER MY CHILD FOR THE 2016-2017 DANCE SEASON? 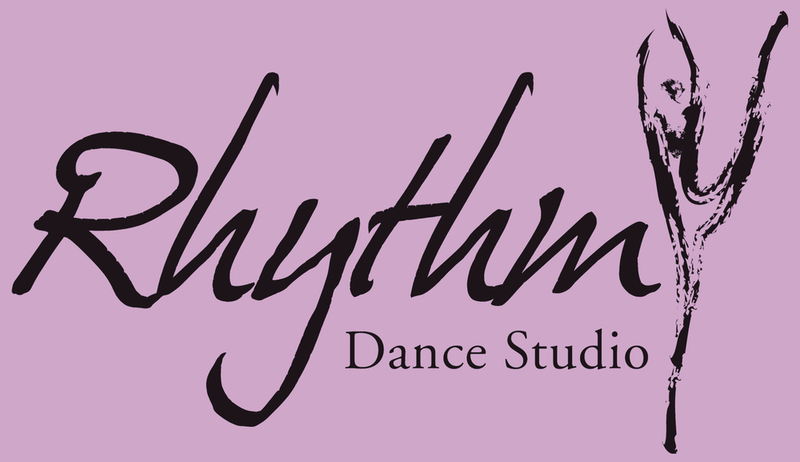 416-560-4445 or email hayley@rhythmdance.ca and we will be happy to go through scheduling and options with you. IS THERE SPACE AVAILABLE IN YOUR AUGUST DANCE INTENSIVE CAMP ? Yes! We continue to accept enrolment for Camp. REGISTER NOW for your chance to be a part of this sensational summer experience at Rhythm! Please contact the studio for more details at 416-560-4445. WE LOOK FORWARD TO AN AMAZING SHOW!!! !